Origami, the art of folding a sheet of paper into various forms without stretching or cutting, can be applied to structural engineering and design purposes. The applications include the forming of a 3D surface without assembling multiple parts and the construction of kinetic structures such as retractable roofs, openings, temporary shelters, and space structures. In the design process of such applied origami, it is very difficult for the designer to control the form to fit design contexts while preserving the necessary functionalities of the original patterns. Therefore, without sufficient knowledge or intelligent design systems, the resulting designs would end up in either just a mere copy and paste of an existing origami pattern or an "origami inspired" design which is not using the properties of origami in functional ways. 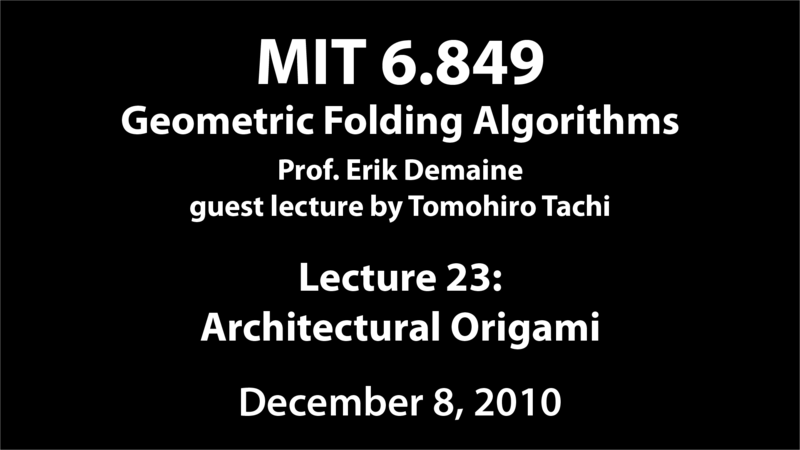 This lecture will present my recent studies on computational origami algorithms and interactive systems to enable architectural designs. The topics include the algorithm for origamizing arbitrary polyhedral surfaces, freeform variation method of different types of origami patterns, and rigid origami theory, design, and physical implementation. The proposed systems are freely available from my website (http://www.tsg.ne.jp/TT/software/): Rigid Origami Simulator, Origamizer, and Freeform Origami. 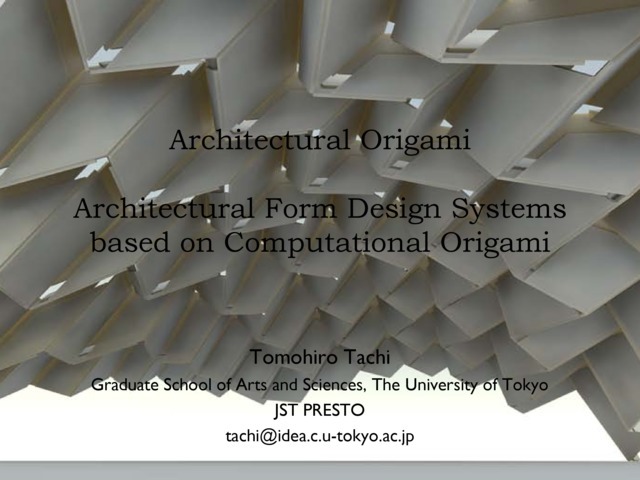 These systems enable origami designs for architecture, i.e., architectural origami, as well as an origami bunny.